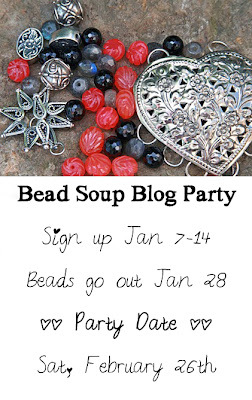 This will be my first time at the BEAD SOUP PARTY. I am partnered with Charlene Sevier. You can see her work here. Thank you Charlene, I just received the bead soup packet... beautiful colors...if any of you are familiar with my work, she really has given me a challenge. She asked that I send her bead soup packet at the last day of the month being that she is at the Tucson Bead Show...lucky her. OK...let's get inventive, it's time to create. See the finished piece here on February 26th. Go here to visit the 200 plus challenge entries. 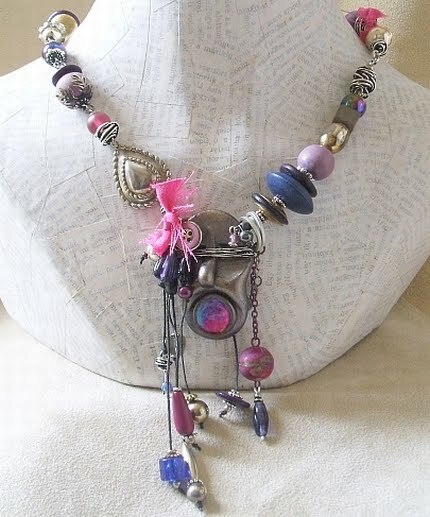 The Tribal Necklace did not make it to Etsy...it SOLD 2 hours after I posted the sneak peek. 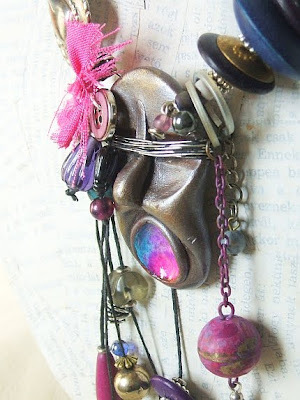 A sneak peek at a new line of sculpted masks that will adorn my necklaces. 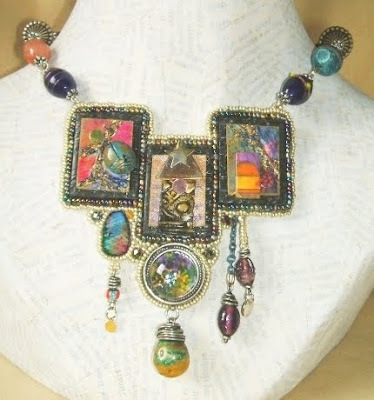 Each embellished with faux enamel in beautiful bright colors. Some will go to Etsy, while others will be ready for vendor day at Art Unraveled Phoenix and Art & Soul Portland. 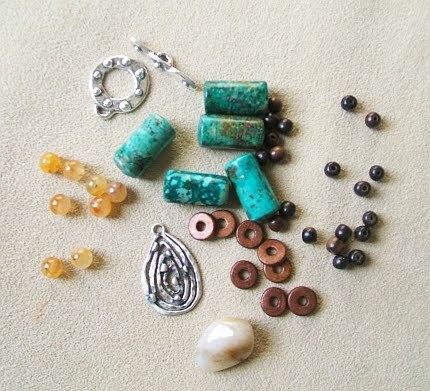 Faux Enamel Bead Classes will soon be available...info here. a collage class plus two jewelry classes at Art and Soul Portland September 2011. The party Planner is Lori Anderson. 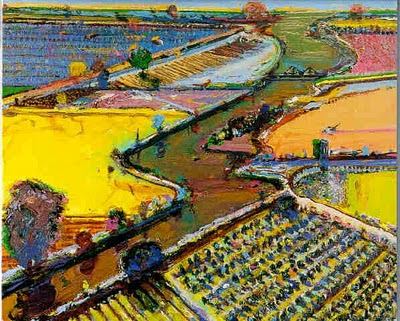 Art Bead Scene featured this painting by Wayne Thiebaud as the inspiration for the January ABS Challenge. I was inspired by the grid like pattern and textures. The result is the necklace above. 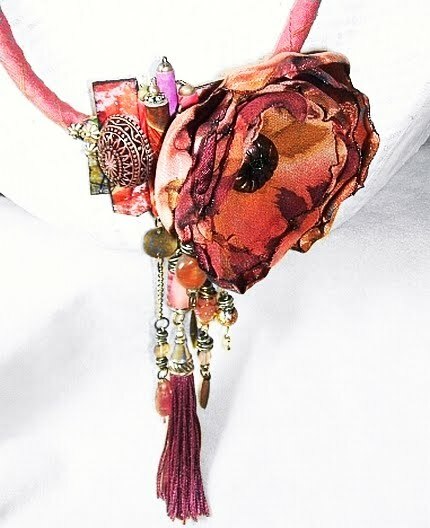 Click here for more information on the challenge and where you will find lots of eye candy by some great jewelry designers.